The cost of petrol increased by 6p-per-litre in May, the fastest monthly rise for 18 years, according to new data from the RAC. 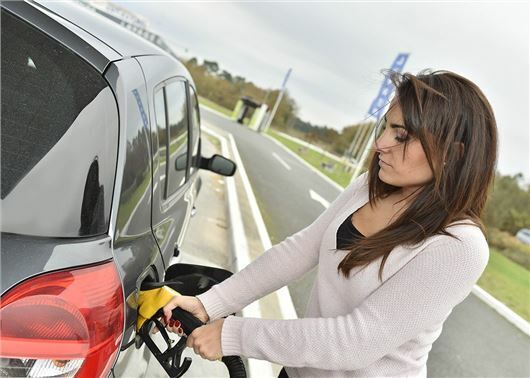 The rising cost of oil and the weaker pound have been blamed for the price hikes, with the RAC calling May “a hellish month” for motorists as oil broke through the $80 a barrel mark twice over a four week period – something which has not been seen for three and a half years. “Looking at the bigger picture, there is talk that OPEC – the Organization of the Petroleum Exporting Countries – may agree at its meeting on 22 June in Vienna to change its tack of restricting oil supply,” said RAC fuel spokesman Simon Williams. The North East has the cheapest average petrol price in the UK (128.24p) while Northern Ireland has the lowest cost for diesel at 131.05p. “OPEC, together with Russia have been limiting production with a view to removing the long-term oil glut. This strategy has been successful and, as intended, caused the barrel price to rise,” added Williams. There could be better news on the way, however, with the price of oil falling to around $76 a barrel during the first week of June. The RAC forecast average prices to reduce by a penny, which could be a sign that the constant rise in forecourt prices may have stopped for the time being. How long will it be before we see the drop in price at the pumps though? Greedy fuel companies are quick to raise prices but very slow at dropping them.Also noticed that fuel prices in France are roughly the same as here this is unusual as they are normally a lot cheaper. Totally agree with Simon, these companies are all the same and I include supermarkets in that statement. Like everything else these days,Energy, car insurance, etc, everyone of them are the pits of the earth. To back up what I have just said, look at the profits these overpriced, money grabbing companies are making ALONG with their CEO’s and the like. The motorist is, as always hit where it hurts in the pocket!! If I remember a while ago, we, JOE PUBLIC protested at Oil company depots??? Maybe it’s time for another wake up call for all of these EXTREMELY ARROGANT AND GREEDY companies! Even more telling is the historic Oil Price trend... when were we last at current barrel price levels? about 2008/9... a decade ago, (and even that was an artificial spike caused by the banking issue) and yet all we see are year on year increases and never an actual reduction. The retail market does not in any way track 'Oil Barrel' prices, it's about time the competition commission looked in to this market... or perhaps my trust in such bodies is misplaced, suspect too many links to wealthy oil co's or investment companies not wishing to be forced to look for new lucrative share investments for the government to rock the boat on this one. Living outside of UK in retirement. 60lt tank diesel here costs me 30 euro is far better fuel than UK is allowed is far cheaper too. Government rake off so much from your fuel and road tax system it is seen unfair by all the world who have visited UK and said so in so many ways in news. 70 million people paying out on everything you can think off to exist whilst your Government own everything even you. Here is said to be corrupt had one point four million people and costs a third of UK to be millionaire on pension. How can British Governments justify day light robbery of the people who work. It I therefore the Governments who are totally corrupt as tax on wage on food on fuel on roads on investments of fresh air soon too. They have tried it on window tax and where does all this cash end up but the Government wage the Crown laziness and cost to keep and the ever growing civil lists.Oh!and all bih houses that now belong to Government as National Trust is Government owned and a scam to rid them of the ruling class that built England as a tax haven. A house cost 699 pounds when I bought my first home in UK that house now sold would ask a price of 587000 pounds. Is this considered fair to the youth who will never own a home in their lives. Care not say the men at the top who invested in rows of cheap housing made fortunes on rents and now off load to make billions and pay no tax as they sit in Parliament and can name them all.Yet nothing is ever done.You park a car and forget to pay parking in your rush and fined for breathing you are.End in court and jail if not presented. Here no parking fees only in one high street in the big city of Riga. Park and ride is free.